Bradley Lock, looking uphill, although the ground level suggests otherwise. 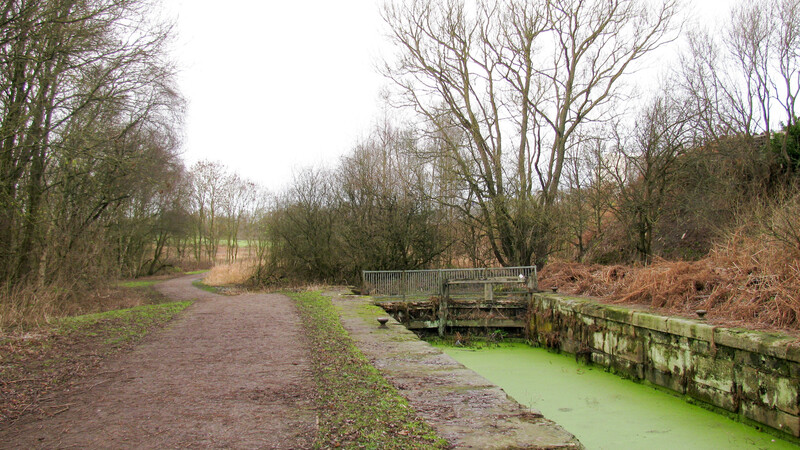 The level of the land and the towpath above the lock are at the same level as that below, or even a little lower. We are less than 8km (5 miles) from the Leigh Branch of the Leeds & Liverpool which has suffered from subsidence after coal mining causing significant changes in water levels and repositioning of locks. It’s possible similar effects have happened here. Whatever has happened the changed levels will have to be addressed during restoration.